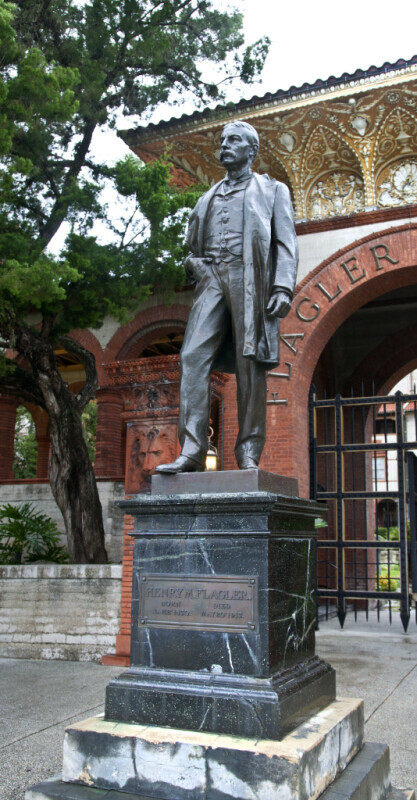 This is a bronze statue of Henry M. Flagler. This statue is outside an archway that provides access to the grounds of Flagler College. The grounds are listed on the National Register of Historic Places, as the Hotel Ponce de Leon. WARNING: You are about to download a 28.5 MB TIFF!